Walking backwards is not just for frolicking kids or teenagers goofing off any more. It actually has some health benefits for sports performance and rehabilitation after surgery or an injury. Walking or jogging backwards is popular in Japan because it burns several times more calories than doing it forwards. Although it may be folklore, it has been said that 100 steps backwards are equivalent to 1,000 steps forwards. People who might benefit from backward-walking as a form of exercise, according to Body Results website, include the following: someone undergoing post-surgical knee joint rehabilitation: someone suffering from muscle strains of the hip, groin, lower back or hamstrings; or someone suffering from a sprained ankle, Achilles tendon tears or shin splints. Other candidates include those who have tried everything from ibuprofen, ice or heat treatments, time off from training, physical therapy or stretching without results, those looking for a different stimulus or cross-training option, or someone involved in a sport where they need to change directions rapidly or run backwards. Two University of Oregon professors, Barry Bates and Janet Dufek, have studied the benefits of backward walking and running on people since the 1980's. They found that backward walking creates reduced shear force on the knees, and may be useful for anyone experiencing pain going up and stairs or doing lunges or squats. Walking backwards uses more energy in a shorter period of time, and burns more calories. It is good for those recovering from hamstring strain because of reduced hip range of motion. Backward walking creates no eccentric loading of the knee joint, the lengthening phase of going down hills or stairs, and can give hikers and scramblers some rest from overuse. One simple way to see if walking backwards is for you is to take 10 steps forward and nine steps back and check for discomfort. Then find a flat area, clear of traffic, and walk backwards for 20 to 30 yards. After practice you can try walking up a hill with a little elevation. 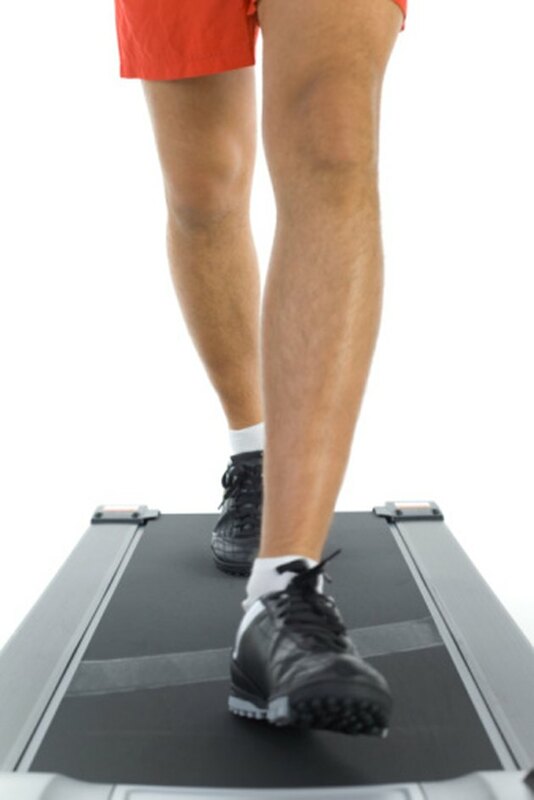 You can also walk backwards on a treadmill, but start at a slower speed than what you usually walk. With practice, as you get more comfortable, you can increase your speed, or even try jogging backwards. If outdoors, check regularly that you don't stumble over dogs, bikers, or uneven pavement. The Center for Disease Control and Prevention recommends that older people do a variety of activities for exercise, both for enjoyment and to reduce risk of injury. Because older people are at an increased risk for falling, it is important that they do exercises to help with balance. Balance exercises can include backward walking, sideways walking, heel walking, toe walking and practicing standing up from a sitting position. A form of martial arts, Tai Chi, may also be beneficial for balance. Can Walking Be Bad for Your Knees? What Is the Meaning of Brisk Walking?